Share Your Experiences: Our stories and experiences create who we are as a company. And our passion and purpose makes a statement and keeps us going. Sharing these key elements, especially in email marketing, allows you to show your readers who you are and why you're doing what you do as a company. Resonating with your audience on a deeper level will not only lead to their trust in you, but their interest in your company and product. Sharing your customer stories is another way to show your vulnerability through email marketing, which will also set your company apart from the rest. Whether successes or failures, it's important to show how your company deals with all situations and how they thrive in the end regardless of circumstances. Segment and Personalize: In many instances, companies are reaching multiple industries and markets. Targeting a specific industry at a time through email marketing can be incredibly beneficial throughout the life of your business. While you may feel you're neglecting an industry, it's ultimately best to segment and focus on one of your markets than to send out a generic message to all. Personalizing your message to them specifically will continue to peak their interest and use your emails as a consistent reference point. Once that segment is a success, you can then incorporate a new email campaign to send out to your next top industry. Keep It Uniform: Creating and keeping a uniform, consistent Brand image across all online channels is extraordinarily necessary when trying to create Brand awareness. When it comes to email marketing, you'll want your audience to recognize that the email is coming from your company, even before looking at the "to" field. Creating a cohesive design from email templates to landing pages will lead to a uniform look that will be distinguishable amongst your competitors. Give Before Asking: A lot of companies send out emails only when they have something to promote such as a new product or an upcoming sale. If your audience is filled with people who aren’t regular customers, it can turn them off from your emails and ultimately lead to them unsubscribing to all your future emails. While promoting your products through email marketing isn't a bad thing, you need to know when the right time to do so is. A good rule of thumb is always to give before asking. Giving value to your audience is crucial before asking for a sale. And while it may not be so straightforward, your audience is able to read through the lines and know when your only concern is making the sale. Before hitting send, always ask yourself if you’re giving value. Create Your Persona: When starting email marketing, it's important to create your persona. The person by whom is always speaking directly to your audience. You are essentially creating the personality of your company so you want to be sure you think of the overall messaging and tone of voice. Who do you want to be to your audience? In doing so, you'll want to create a customized "from" field with a real name. Not only does this help with open rates, but it provides another opportunity to build trust with your reader. 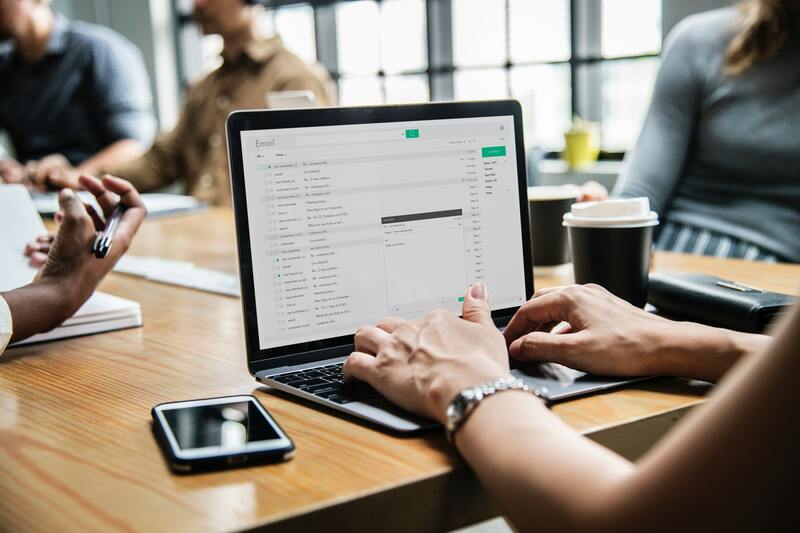 Email marketing can be a tedious process in general, but with a solid strategy in place from the beginning using these five steps, your company will be setting the foundation for many future successful email campaigns, ultimately differentiating yourself from the rest.